MultiCam® patterns take advantage of the way the human eye and brain perceive shape, volume, and color. Since only a very small portion of the human eye perceives color, the brain does a lot of “filling-in” for the eye. The unique high-resolution design of MultiCam® takes advantage of this principle and helps the observer to “see” the pattern as part of the background. We provide original MultiCam® patterns approved by Crye Precision. All products are available with any value-added option. Contact us today for any questions on products, and development! Our backpack weight products are made with Berry Amendment compliant material and pass nIR requirements established by Natick for MultiCam® patterns. They meet or exceed the spec for A-A-55301 and ASTM D6413 vertical burns testing when treated with FR. Our program includes widths of 19mm, 25mm, 38mm, and 50mm. Upon request 12mm and 76mm are also available. Our elastic products are made with Berry Amendment compliant stretch nylon and natural rubber. It passes ASTM 6413 vertical burn tests when treated with FR. 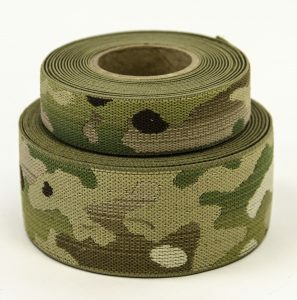 MultiCam® elastic webbing is offered in 19mm, 25mm, 38mm, 50mm, and 76mm. Our belt weighted webbings are made with Berry Amendment compliant material and pass nIR requirements established by Natick for MultiCam® patterns. This belt webbing has an impressive and dependable 5000lbs breaking load. 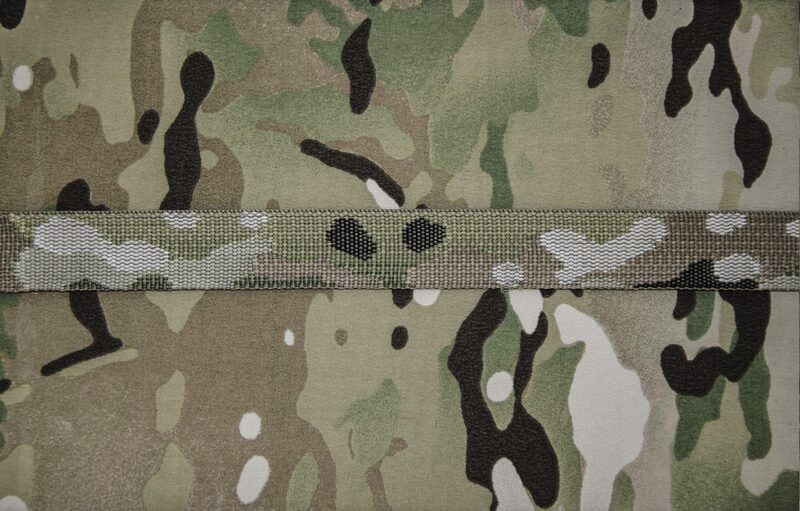 Our belt weighted webbings are made with Berry Amendment compliant material and pass nIR requirements established by Natick for MultiCam® patterns. This belt webbing has a breaking load at 4000lbs and is available upon request.